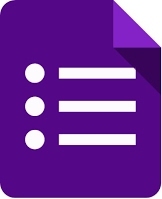 ﻿Google Forms can be created to use as classroom assessments. Construction of a Google Form assessment is comparable to the time it takes to create a traditional assessment. ﻿Flubaroo is a third-party, add-on piece of software to be used with Google Sheets. Flubaroo allows for the automatic grading of assessments, data-analysis of assessment results, and immediate feedback for students. Google forms can be used for more than simply formal assessment. The link below lists 80 potential uses for this free software.